Craving noodles and spring rolls? Main Street Pho, a new family-owned Vietnamese spot, has debuted at 4307 Main St. in Manayunk. The neighborhood restaurant specializes in classic Vietnamese fare. To start, look for summer rolls or a dumpling sampler. The menu also offers extensive entree options, including a beef pho special with beef flank, brisket and tendon or spicy lemongrass shrimp with hot pepper sauce. (Take a look at the full menu here). Main Street Pho has made a good impression thus far, with a four-star rating out of 10 reviews on Yelp. Jared J., who was among the first Yelpers to review the new spot on April 15, said, "Main Street Pho is off to a great start! A well-anticipated Vietnamese restaurant has made it to Main Street." 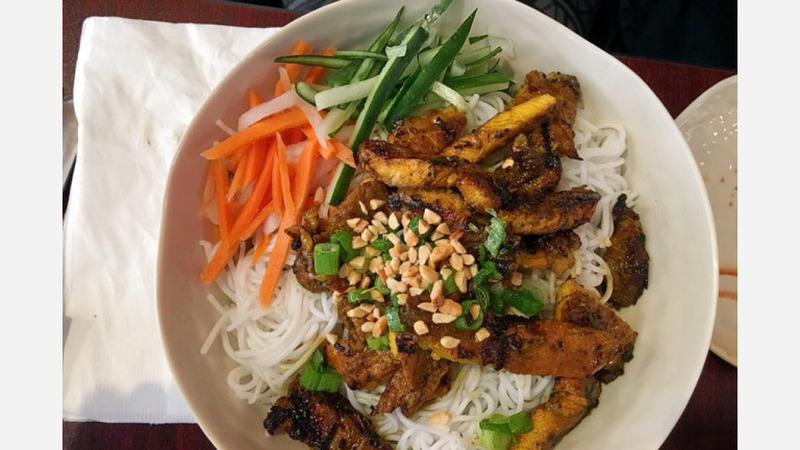 "Finally, a Vietnamese restaurant in Manayunk," writes Yelper Sam R. "I stopped in for the grand opening. The service is fast and the food is on point. Delicious steak and flavorful brisket pho. The broth is good and the ingredients are fresh. "